The room goes dark, a rattle shakes, and the rhythmic beat of a drum begins. Then comes the enchanting song, “Spirit of Life”, gifted to the guides by Dakota elder, Henry Skywater. The song embodies the very circular and cyclical journey that is life. This marks the beginning of the Mikinak-Keya Spirit Tour at the Canadian Museum for Human Rights. Indigenous culture and the Indigenous perspective play a significant role in the human rights story and history of Canada. Many of those stories aren’t pretty, but to learn from any unfortunate past, it becomes necessary to face it and ensure that those horrors are never repeated in the future. Of course, no one wants to go to a museum seeking enlightenment and come away with an even more profound feeling of despair. 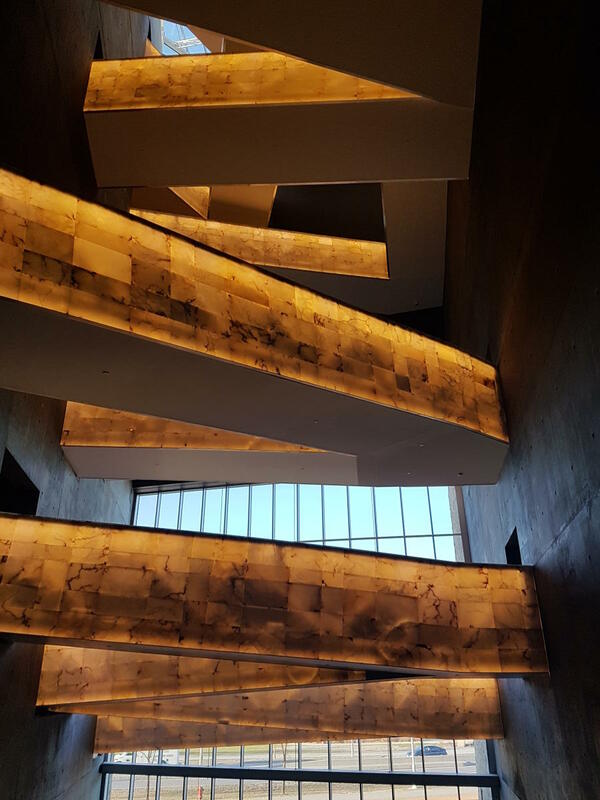 And that’s where the Canadian Museum for Human Rights changes the conversation; telling those hard stories that need to be told, while tempering them with a message of hope for the future with a journey from darkness into light. 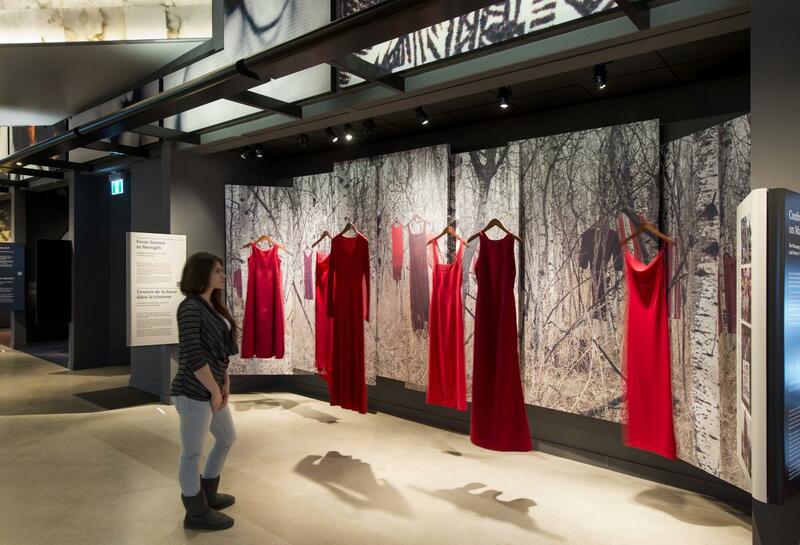 Like any museum, the Canadian Museum for Human Rights is filled with exhibits that help paint a picture of the past. The Mikinak-Keya Spirit Tour, however, isn’t quite like that. Think of this tour as a living, breathing, walking exhibit, where you make discoveries, not so much about history, but more about you; you as a human being in relation to other human beings, and in relation to nature and the environment around you. 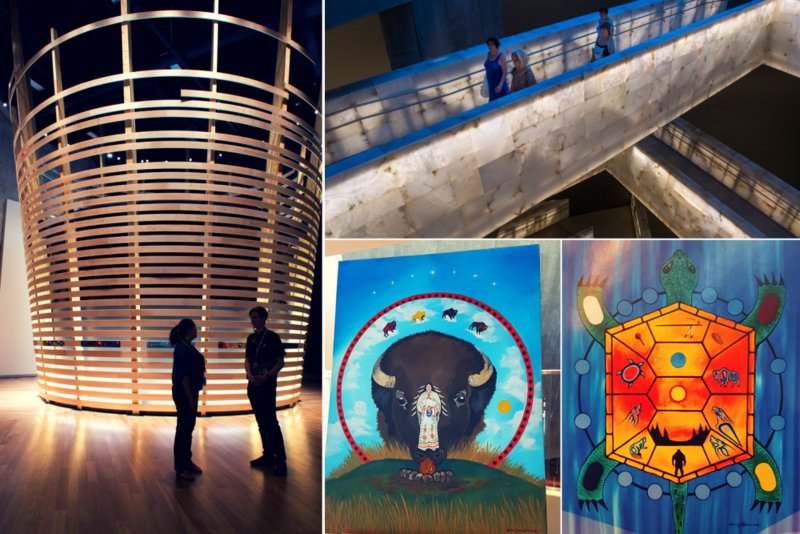 Each step of this tour reflects one of the seven sacred teachings of First Nations peoples. Each teaching is represented by a spirit animal: humility in the wolf, respect for the buffalo, wisdom of the beaver, honesty in the Sabe, truth in the turtle, love in the eagle, and courage of the bear. What’s even more fascinating is that each sacred teaching and each spirit animal is represented in the design of the museum. The building’s very foundation is shaped like the claw of the wolf. The wolf, which is part of a pack, often shows submission to the alpha wolf by bowing its head, alluding to how fundamental humility is on our trek through life and in our interaction with others. The basalt rocks of the Garden of Contemplation are reminiscent of the pattern of the turtle’s carapace, the animal that represents truth. What better place could there be to reflect, and get to the heart of who we truly are than in such as peaceful space as this? The glass that wraps around the museum’s exterior like the wings of a bird symbolize those of an eagle lovingly wrapped around its offspring with a vision for its future. Nothing about this tour is accidental. The Indigenous perspective doesn’t subscribe to the Western concept of coincidence. Life is intentional and everything happens for a reason. From the women who guide this tour (women are seen as powerful beings and protectors in Indigenous culture), to the skirts they wear (the long skirts graze the ground and are symbolic of that connection to the land), to the turtle, which is integral to the Indigenous story (its shell reflects 13 moons and 28 days of a woman’s cycle), every aspect of Mikinak-Keya left me with a profound and indescribable sense of “meant to be”. 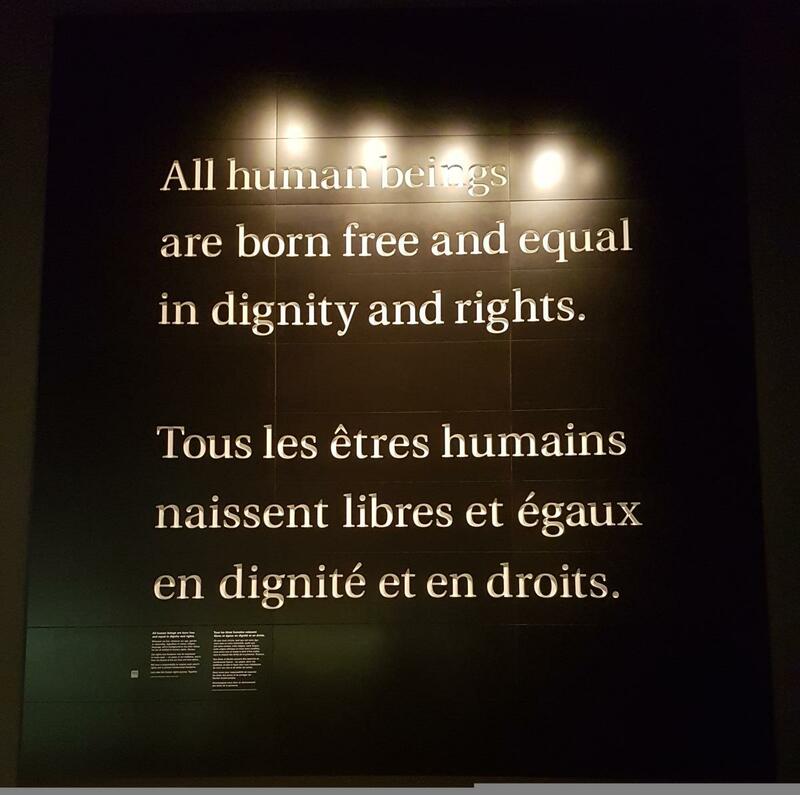 As you begin your ascent into the Canadian Museum for Human Rights, a towering wall of simple yet powerful words greet you: “All human beings are born free and equal in dignity and rights”. This statement rings true throughout every step of the Mikinak-Keya Spirit Tour. While diversity marks every aspect of our existence: we come from different cultures and backgrounds, speak different languages, are different shades of the colours reflected in nature, in all of our differences, we are still all the same. It is this paradox that creates an opportunity for reflection and makes the seven sacred teachings the perfect place to begin. 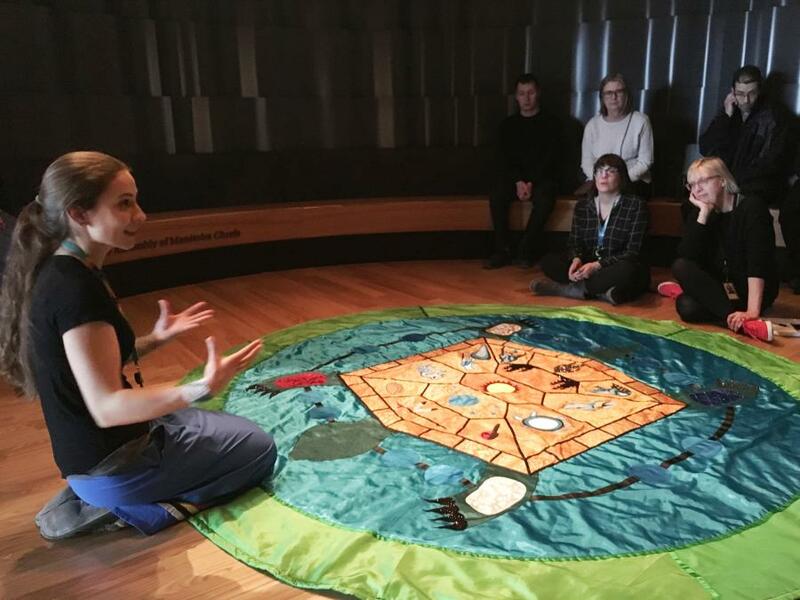 The Mikinak-Keya Spirit Tour runs most Wednesdays and Saturdays at the Canadian Museum for Human Rights. To learn more, visit the museum’s website. who did not review or approve this story.